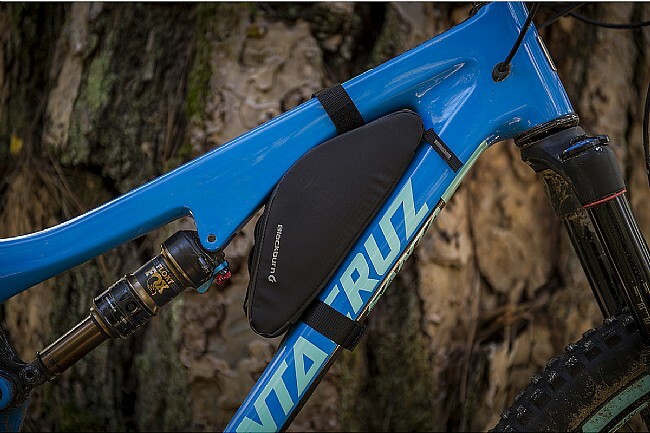 Rather than have a saddle bag, tuck that storage into one of your frame's unused areas. 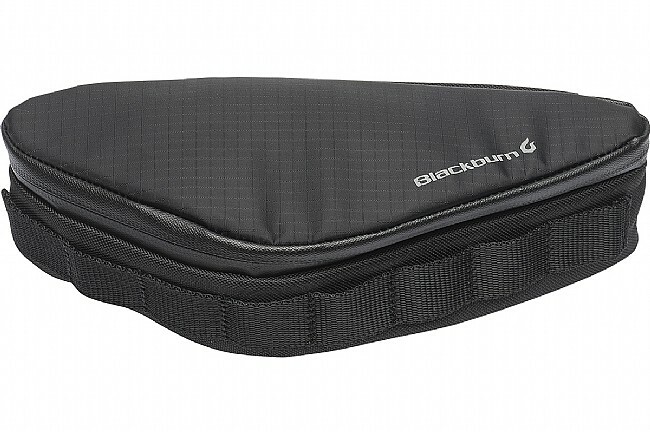 The Blackburn Outpost Corner Bag is a compact pack designed to be conveniently stored just behind the head tube, or anywhere else you can fit it. Taking advantage of this normally unused space, the Outpost Corner replaces a saddle bag with storage for CO2, a tube, and tools. Water resistant forxtra protection against the elements. 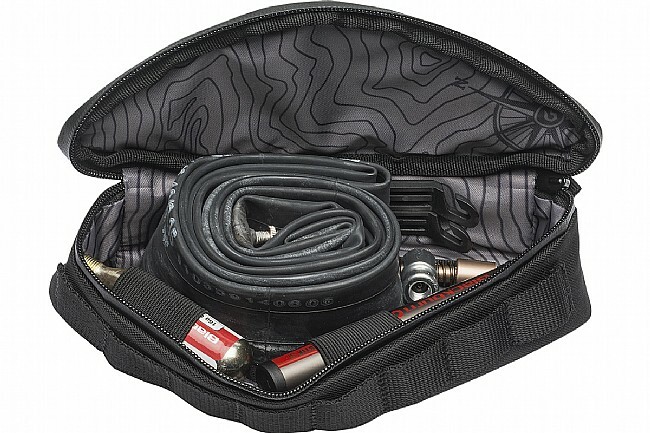 Bag fit: Includes adjustable mounting options for fitting to almost any bike. 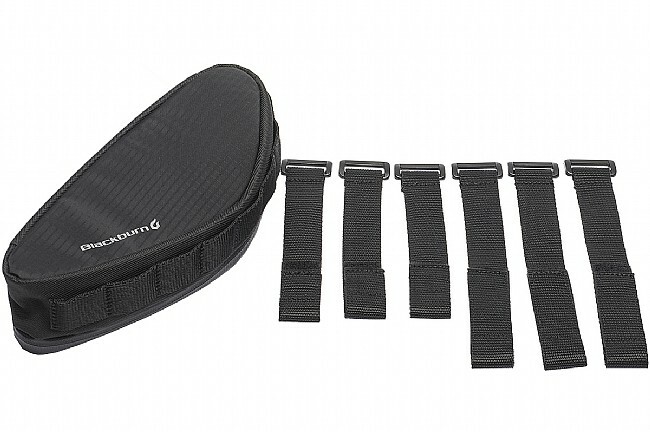 Frame Strap: allows for versatile mounting wherever it can be fit. 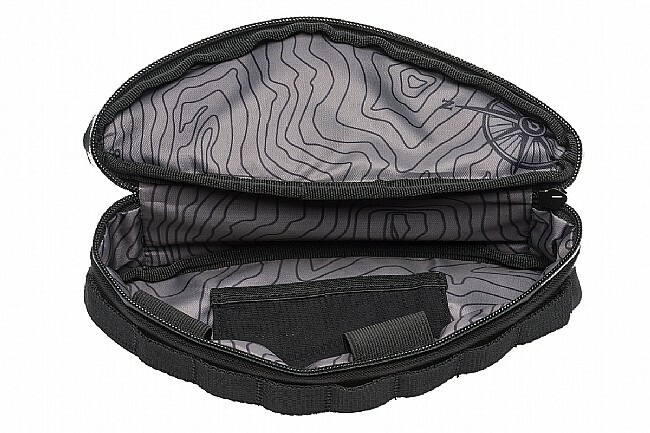 Mesh pocket offers secure, organized storage.